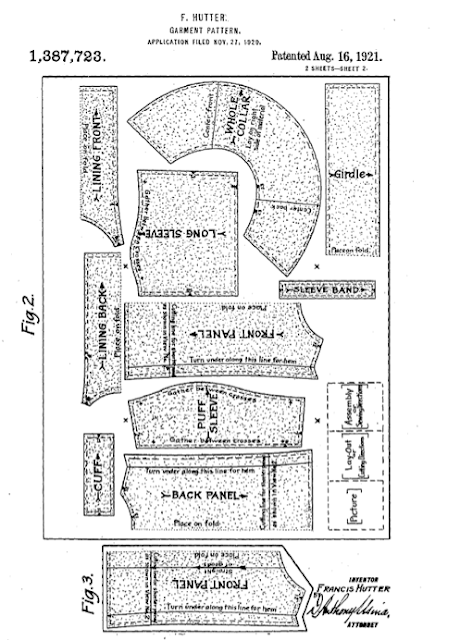 Today I thought we would take a look inside some early McCall patterns to see how the patterns themselves evolved over time. 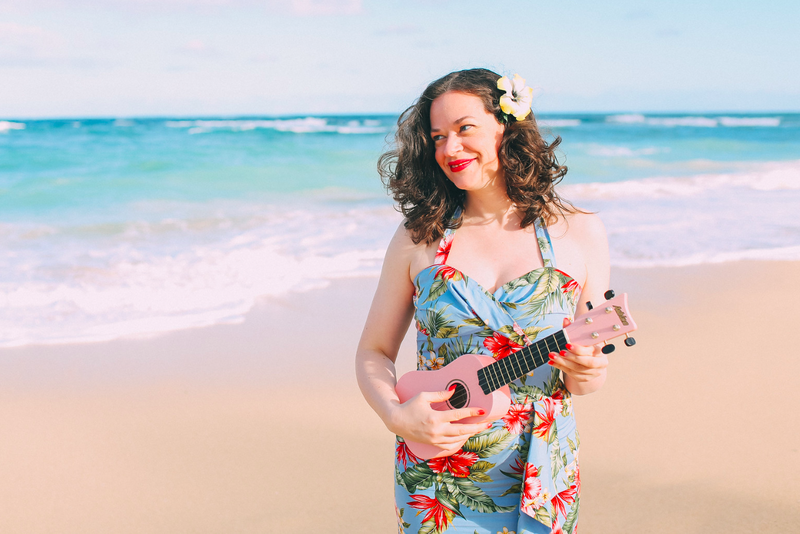 I want to give a special thank you to Lauren from Wearing History (a fellow McCall pattern lover) as she helped me put together some of the information for this post and kindly contributed several pictures! Notice how it's unprinted but does include notches and circle and triangle holes? That's the guide for different construction techniques such as darts, etc. 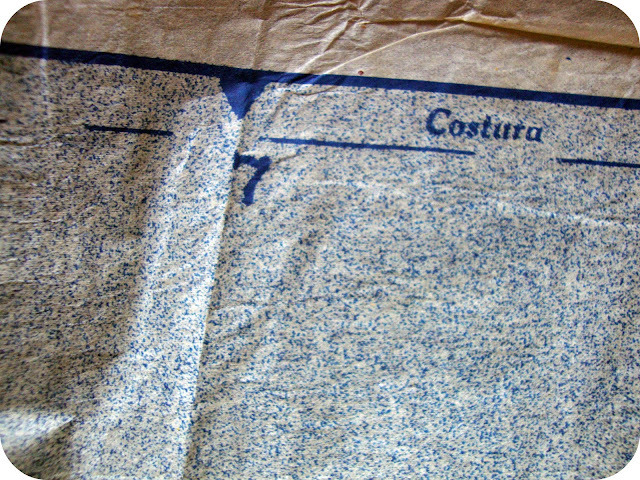 A few things I noticed right away with this 20's pattern is that the instructions (called 'Printo Gravure') are printed on the same tissue paper as the pattern. 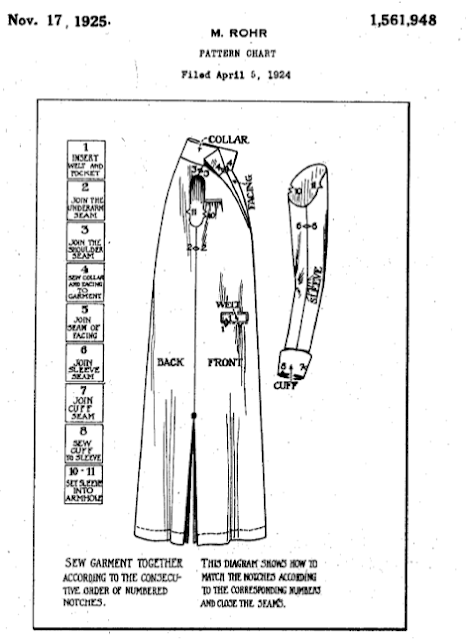 You'll also notice that the sleeve pattern piece has a pictorial guide on it on how to alter the sleeve for special measurements. I've only seen this on 1920's patterns but I really like it. In the last picture above you can see that the instructions contain a lot of real photos including how to make a bound buttonhole (in photos as opposed to drawings). This helps tremendously. 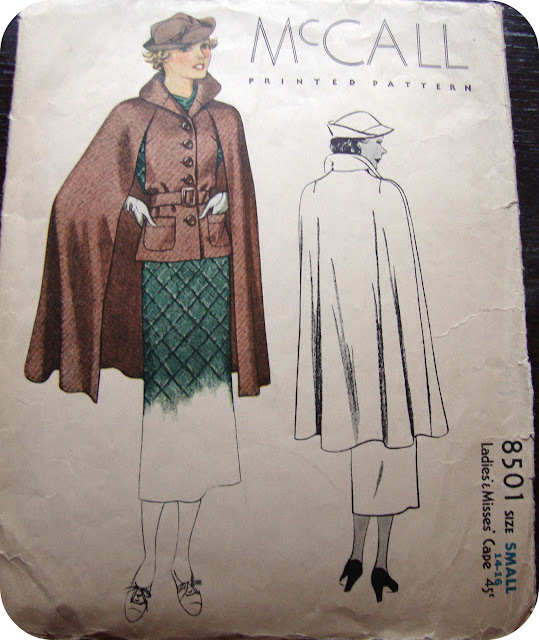 If you have experience in sewing, you can put together even an early McCall pattern without instructions because so much is already printed on the pattern pieces. The McCall Pattern Company was one of the first to produce printed patterns. 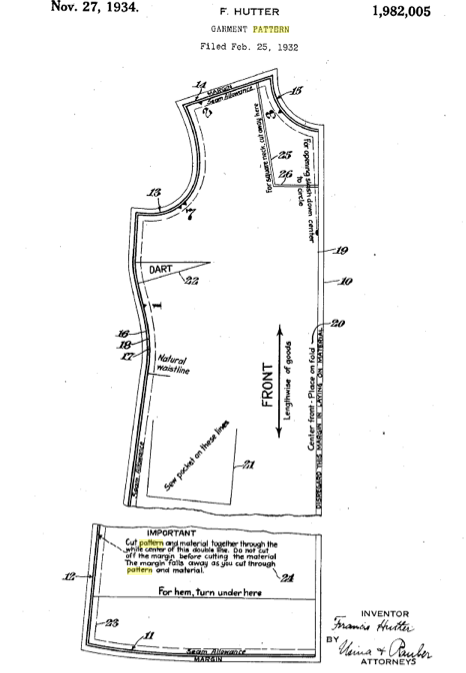 Below is an image from the patent they filed through the United States Patent Office for the printed paper pattern. It was filed in 1920 and granted in 1921. Which means it would have expired in 1939 (which is also around the same time Simplicity started printing on their patterns). You can read the entire patent application online here. 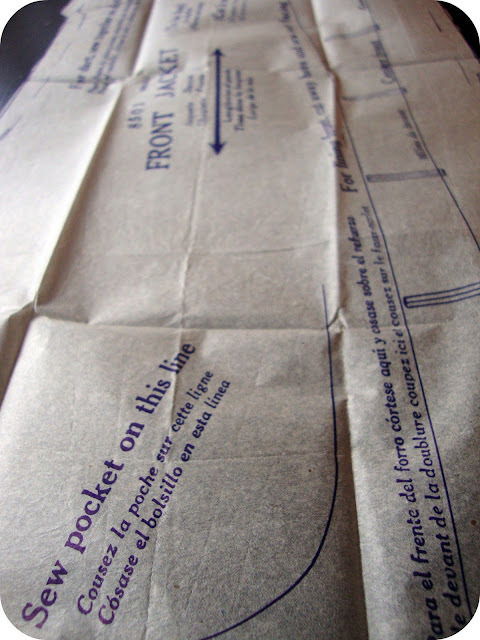 It includes very detailed instructions printed on the pattern for the lining, placement of buttons, pockets, order of seams to be joined as well as facing, seam allowance, etc. Everything you need to know is right on the pattern! I'm just loving this month and the chance to delve into the history of my favourite pattern company! What about you? Have you sewn with an early McCall pattern? Or with an early unprinted pattern? That unprinted pattern piece scares me. I'm afraid I'm very much a sew-by-numbers kind of girl! I've really only sewn with one vintage pattern from (I think) the 1970s for an A-line skirt, so I don't think that particularly counts! But I am loving this series, Debi. More knowledge can only be a good thing. Wow, those patterns are really advanced (technologically) looking! 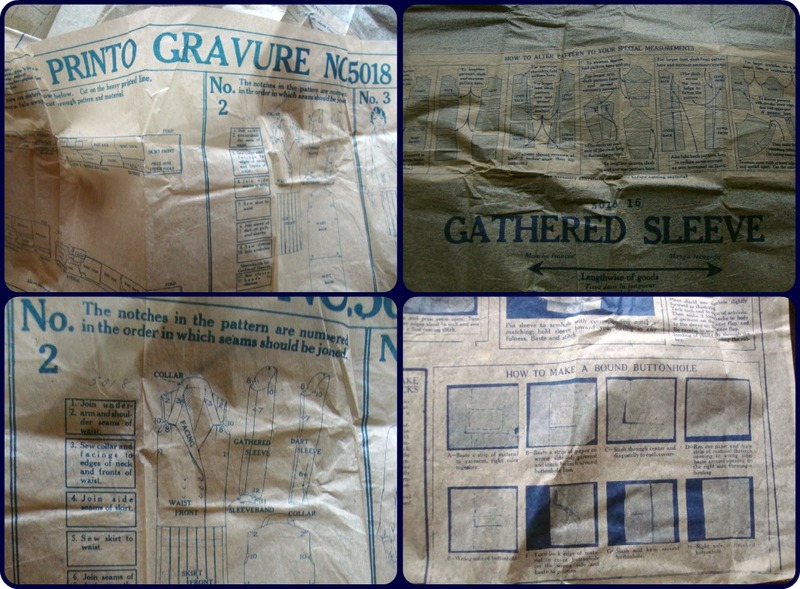 I think the modern pattern companies could take a hint from the way things used to be done, and it wouldn't even cost them anymore than it does now. Very neat! I had no idea. I have several vintage patterns, but I haven't sewn any of them up yet and I don't know that I've actually looked at the pattern pieces yet. Now I'm curious to see if any of mine have lots of details! Thanks for the heads up! Because I make my living selling these treasures, I love learning more about the history of the pattern companies. And this is the first time I've seen the patents. Thanks so much! I agree with Jane. 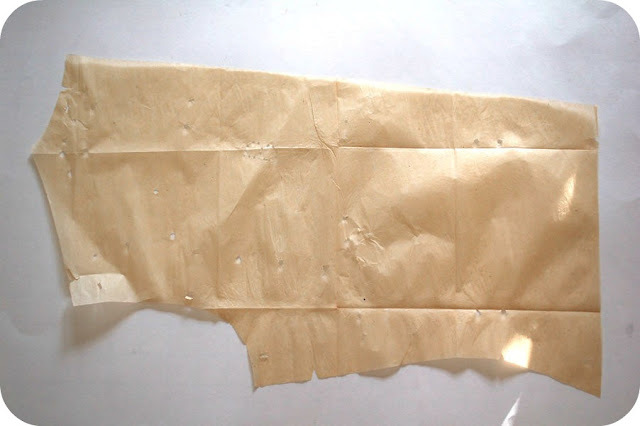 Once you actually sew with an unprinted pattern, you realise they're no more difficult to use than the printed ones. In fact I prefer them because you can use the holes & notches to mark up your fabric far more easily than with printed patterns. The instructions on the pattern pieces is something that threw me the first time I came across it. I couldn't understand why a pattern piece was such a poor fit until I discovered that it included ease (only mentioned on the pattern piece, not the instructions!). Also, I've only just discovered, thanks to you, that the numbers on the seamlines are the order in which to sew the pieces. Duh! I need to look at my pattern pieces more carefully! I love this series, it totally brings out the sewing nerd in me :) Thank you so much for pulling all this information together! This was really interesting to read - especially since I have both printed and unprinted patterns. I will have to recheck the 1920's pattern I picked. It was so cheap I didn't bother to unfold all of the pieces and I assumed there were no instructions since it only included tissue paper. Perhaps a second look with reveal instructions. This is fascinating! I've never seen a pattern in the flesh that was older than the 40s. Keep these coming! I have only worked with re-issues from the 30s, and actual vintage dating only to the 60s. This series is a treat.